Home Tags Posts tagged with "Doctors"
Medical careers are among the most financially lucrative professions. They also offer rewards in the form of job satisfaction, because health-care providers are in a position to help patients live healthier, fuller lives. High school students interested in becoming medical professionals are advised to take multiple science and math classes. They include anatomy, biology, chemistry, physiology, and algebra. Most medical careers require bachelor’s degrees in some type of science, with a pre-med concentration. Students are advised to make sure they attend accredited four-year colleges or universities. Courses include biology, chemistry, English, math, physics, the humanities, and social sciences. On-the-job experience may be gained by volunteering at medical facilities during undergraduate school. Students studying to become doctors also must obtain degrees from four-year medical schools. Internships, residencies, or fellowships also may be mandatory. State-issued licenses and board certification are required for many health-care jobs. These 12 positions are among the rewarding careers in medicine that students may want to consider. Anesthesiologists are doctors who sedate patients and monitor them during medical procedures. They are trained to administer the proper doses of drugs, to minimize a patient’s pain and discomfort. Postoperative care includes prescribing medication, and assessing patients to detect complications or reactions to drugs. Anesthesiologists help create and implement pain-management plans. The first step to becoming an anesthesiologist is obtaining a bachelor’s degree. That must be followed by four years of medical school, which involves two years of classwork and two years of clinical training. In addition, a one-year fellowship and a three-year residency program are mandatory. Audiologists help people suffering from hearing disorders and related balance and coordination difficulties. They conduct examinations and diagnostic tests, then provide the appropriate treatment. A bachelor’s degree in a life science and a doctorate degree in audiology are mandatory to practice in this field. Training is provided while in medical school, and during internships following graduation. Operating on the nervous system, including the brain, to correct disorders or extract diseased tissues is the challenging task of a brain surgeon. These doctors, also called neurosurgeons, conduct complex operations like removing tumors and transplanting organs. They also make minor nerve repairs and perform elective surgery. After undergraduate college and medical school, the next educational requirements are an internship and residency of three to eight years (depending upon the medical speciality). Cardiology is a speciality in the field of internal medicine. Cardiologists are doctors who treat diseases, disorders, and injuries involving the heart and blood vessels. They examine patients and perform diagnostic tests to identify the nature of ailments. The next steps are determining, and conducting, the appropriate surgery or other medical procedure. Educational requirements include a bachelor’s degree in a science like biology or chemistry, completion of a four-year program to become a doctor of medicine, and as many as eight more years of internships and residencies. This entails a significant investment of time and money, but cardiologists are among the highest-paid doctors. General practitioners, also called family doctors, are often the first medical professionals patients see when symptoms of illness appear. These doctors must be familiar with a wide range of ailments, diseases, and disorders. They also treat patients who have suffered injuries. General practioners conduct examinations, make diagnoses, provide a variety of treatments and therapy, and refer patients to specialists. A bachelor’s degree and completion of medical school are required. Some medical schools have programs that take six or seven years to complete, combining a bachelor’s degree with a doctorate in medicine. GPs also must complete residency programs lasting three to seven years (depending upon whether a medical specialty is being pursued). Obstetricians and gynecologists, also called ob/gyns, are doctors who provide medical care to women. They perform surgery and prescribe treatments for diseases and illnesses. The position entails attending to women’s reproductive health, from counseling them about pregnancy to delivering their babies. A bachelor’s degree in science, completion of medical school, an internship, and a residency program are required. This education and training lasts 11 to 16 years, depending upon the speciality. Neurologists are concerned with the health of the central, peripheral, and automomous nervous systems. They diagnose and treat disorders and diseases of the brain, head, spinal cord, and associated muscles and blood vessels. Some of these doctors specialize in performing surgery. After obtaining a bachelor’s degree, including a pre-med program, students studying to be neurologists must pass the U.S. Medical Licensing Examination and complete a one-year internship. That is followed by a residency program, which lasts three or four years. Oral and maxillofacial surgeons are dental specialists who perform operations on various parts of the head and neck. Oral surgeons treat diseases, deformities, and injuries of the mouth, including teeth and gums. Maxillofacial procedures involve the head, face, jaw, neck, and sinuses. Becoming an oral or maxillofacial surgeon requires two years of predental education in undergraduate college, completion of a four-year program at an accredited dental school, and four to six years of residency training. Plastic surgeons perform operations to repair and alter various parts of the human body. Most conduct either cosmetic surgery, to change a person’s appearance; or reconstructive surgery, to correct damaged or malformed features. Specialties include burn treatment, microsurgery, laser surgery, pediatrics, tissue transfers, and body contouring. A bachelor’s degree, a doctorate in medicine, and completion of a five- to seven-year residency program are mandatory. Surgeons may then undergo fellowship training to become more skilled in their specialties. Respiratory therapists work under the supervision of doctors to treat patients who have breathing problems and cardiopulmonary ailments like asthma, emphysema, chronic bronchitis, pneumonia, and cystic fibrosis. They conduct tests to diagnose ailments, then provide therapy to relieve patients’ symptoms and restore their functions. To practice respiratory therapy, the minimum education requirement is an associate’s degree. It is mandated by nearly all states and employers. This degree is provided by universities, community colleges, technical schools, and vocational institutions. To work at a hospital or in emergency medical services, a bachelor’s degree is usually needed. Master’s degrees may be necessary for those who wish to become administrators or independent respiratory therapists. Trauma surgeons perform operations and other procedures to help people with severe injuries and illnesses. Many of these doctors work in hospital emergency rooms. Special training is needed to be able to cope with high-pressure situations. A bachelor’s degree in science, following by four years of studies at an accredited medical school, are the preliminary educational requirements of this position. Residency training of three to five years, as well as a fellowship program lasting one or two years, also must be completed. Urologists specialize in diagnosing and treating diseases, disorders, injuries, and deformities of male reproductive organs, as well as both genders’ urinary tracts. A urologist is a surgeon who conducts operations, and performs various other treatments, on the bladder, kidneys, prostate, uterus, urethra, and adrenal glands. Following undergraduate and medical school, a prospective urologist must complete a residency program of at least five years. These are just a few of the numerous rewarding careers in medicine. Getting high grades, and performing well on tests, as an undergraduate student make it easier to get accepted by an accredited, four-year medical school. Competition for spaces in their programs can be intense. Manual dexterity and attention to detail are crucial for doctors and other medical specialists. Physical stamina is needed to stand through lengthy operations. Doctors should have a good bedside manner with patients, providing reassurance while projecting confidence and strength. They must be good listeners who can show empathy and provide support. Good communication skills are need for dealing with medical and administrative staff, as well. The stress can be severe. Surgeons are under a lot of pressure to not make any mistakes, as they literally hold patients’ lives in their hands. They must be able to perform efficiently under these conditions. The working hours can be long, and doctors may be on call to respond to emergencies. Those who feel they can handle the pressure and requirements of a job in medicine have many choices of fields in which they can specialize. Getting high grades, and performing well on tests, as an undergraduate student make it easier to get accepted by an accredited medical school. Competition for spaces in their programs can be intense. Cardiology is a specialty in the field of internal medicine. Cardiologists are doctors who treat diseases, disorders, and injuries involving the heart and blood vessels. They examine patients and perform diagnostic tests to identify the nature of ailments. The next steps are determining, and conducting, the appropriate surgery or other medical procedure. 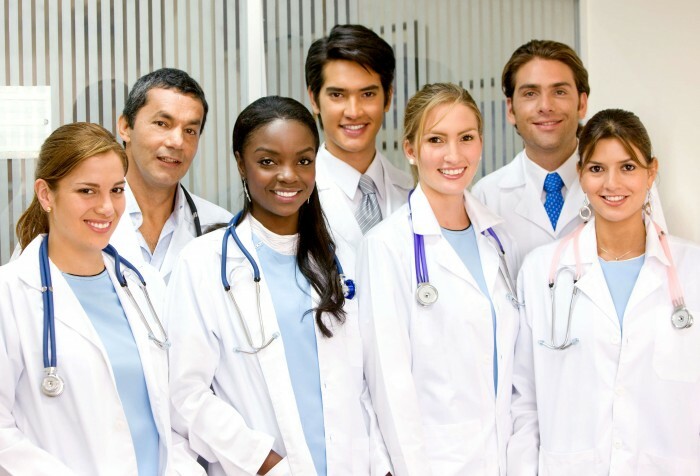 These are just a few of the numerous rewarding careers in medicine. The duties involved, and the amount of education and training required, vary widely. A number of skills are needed in these positions. Manual dexterity and attention to detail are crucial for doctors and other medical specialists. Physical stamina is needed to stand through lengthy operations. Doctors should have a good bedside manner with patients, providing reassurance while projecting confidence and strength. They must be good listeners who can show empathy and provide support. Good communication skills are need for dealing with medical and administrative staff, as well.